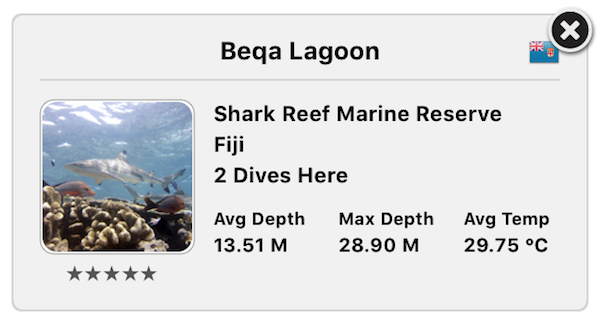 Selecting Sites from the Sidebar lets you view and manage the sites you've dived at, or want to! 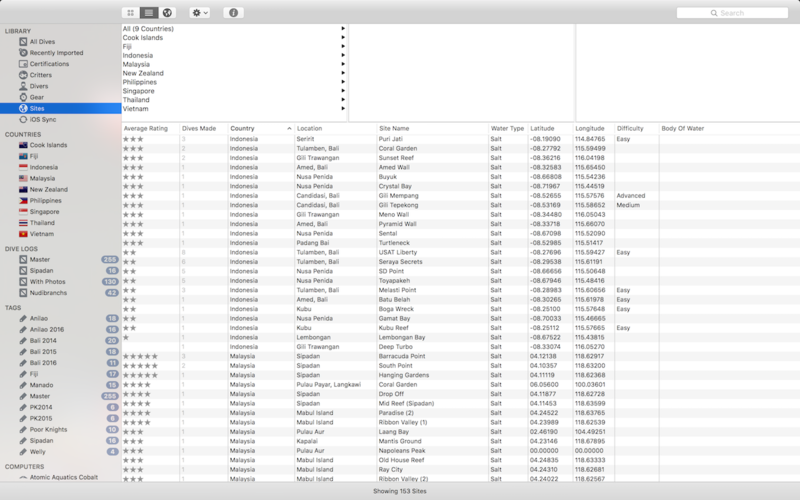 In List View you will see a Column Browser at the top of the screen. This lets you filter by Location and Country quickly. 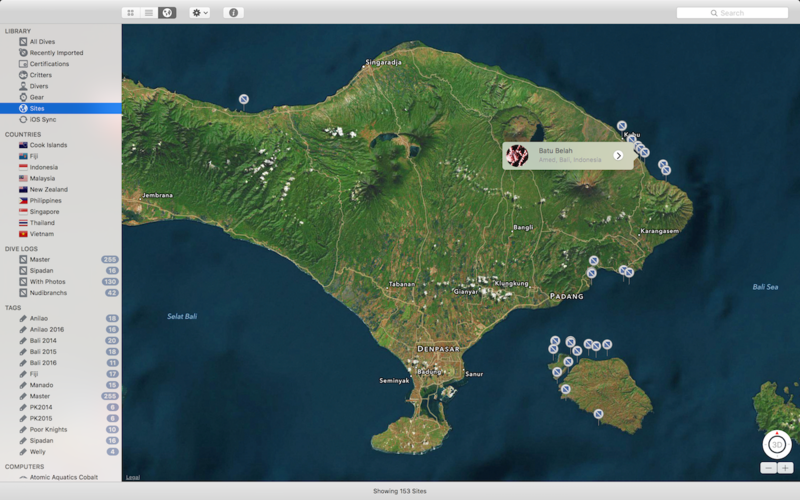 You can toggle the view mode in the toolbar to view a map of all of your sites. You can pan and zoom around the map, and clicking on any site will show you some basic details. Clicking the ">" disclosure button will take you to a list of all of the dives made at that particular site. From elsewhere in the application, you can choose New Site from the Quick Action Menu (see Toolbar). If you are using the Thumbnail view you can also click the "+" icon at the bottom of the view. Clicking the delete button will remove it. By selecting Edit > Delete Selected from the Menu. By using the shortcut, ⌘ ⌫. You can also use the Site Inspector (see below) to edit all of the selected sites. This is great when you're back from a dive trip and want to edit a bunch of sites with similar information at the same time. The Site Inspector allows you to view and edit the selected sites. 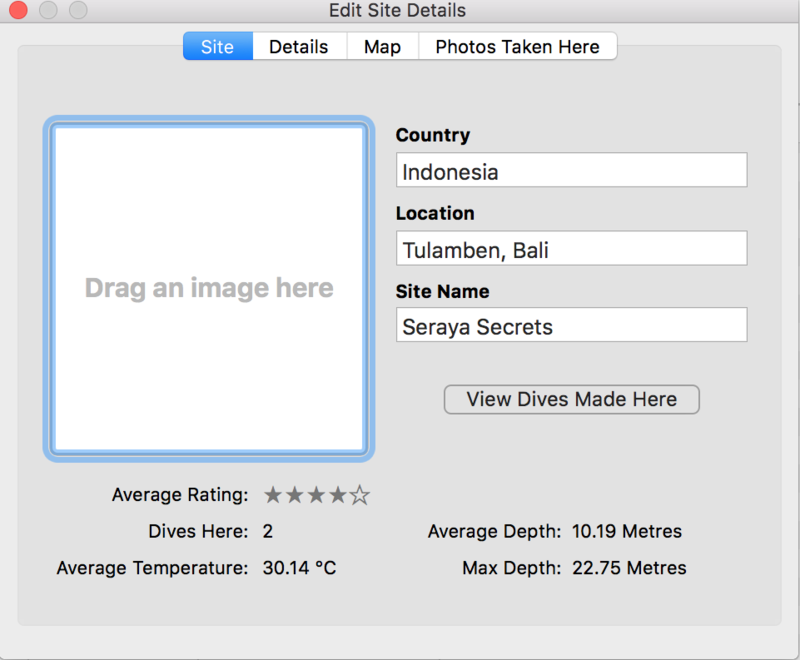 The Site Inspector can be accessed the same ways as the Dive Inspector, and also by double-clicking on a Site in Thumbnail view.